Game of Aces (recommended): This World War I film stars just three people and tells a surprisingly complex and enthralling story of an American pilot and an English nurse searching for a downed German turncoat in the middle of the Arabian desert. Its production values and script are better than they could have been given the premise and the film succeeds as a period adventure drama. Now playing. 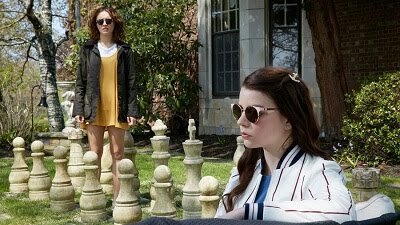 Read my review from Thursday. 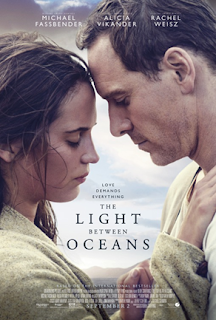 The Light Between Oceans (recommended): Michael Fassbender, Alicia Vikander, and Rachel Weisz all turn in heartfelt performances in this film from Derek Cianfrance about a lighthouse keeper and his wife on their complicated way to starting a family. It’s a touching love story that also includes its share of moving drama. Now playing at many theatres in New York. Read my review from Friday. 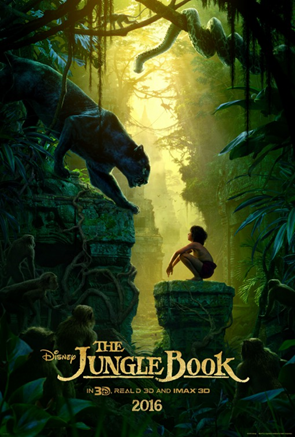 The Jungle Book (recommended): I’m not sure I had any particular desire to see a remake of the classic 1967 animated film, but this live-action take from Jon Favreau is actually really great. Young Neel Sethi gives a superb breakout performance with assistance from a number of talented actors voicing the other members of his animal kingdom and dazzling scenery and effects.